Also, big thanks to the fabulous Photos By Esther for taking my pictures today! 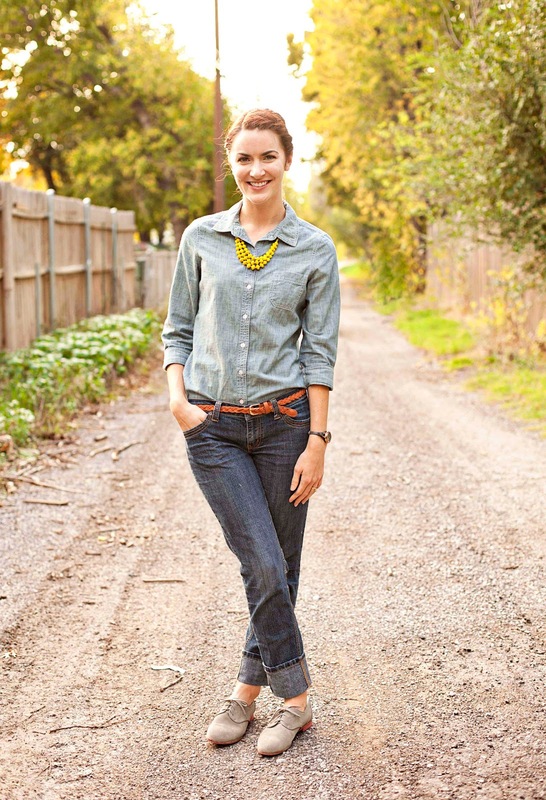 That's a really great necklace and I love how you paired up denim with chambray, one of my faves too! 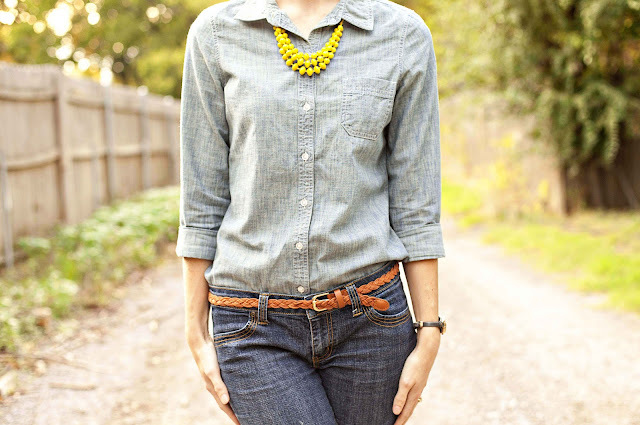 Cute outfit...I love the chambray shirt! 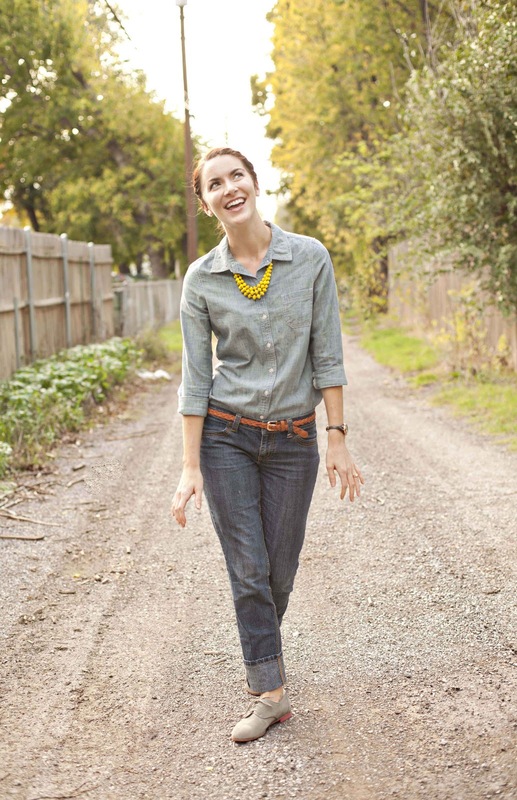 Your necklace really pops and makes this outfit even better!~ Visiting from The Pleated Poppy! Love the necklace! I didn't celebrate Halloween either...except the candy part. Your pictures look great!! I'm glad Halloween is o-v-e-r! I love this double denim outfit with the pop of color from the necklace! I am not that excited for Halloween either, but I do love the candy :) now following. Hi Ashley! 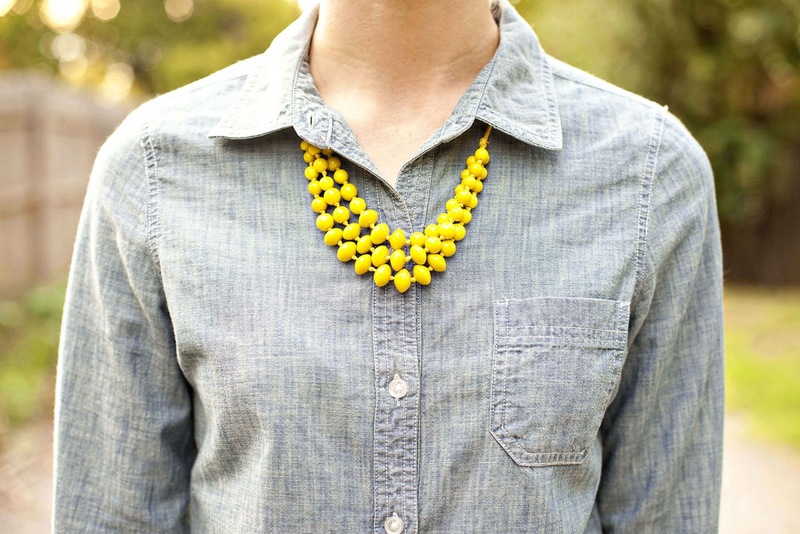 Love this denim on denim look, and that bright yellow necklace is the perfect touch! Gorgeous lighting/photography. :) I was honestly never that into Halloween either until we had our twin girls four years ago... they love to celebrate everything! Hope Winston got to enjoy some treat today too! 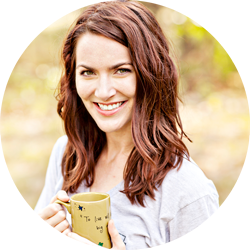 Popped in the from the Real Girl Style Link Up. Such a cute outfit! Love the necklace under the collar. I love that necklace! So cute. I have this shirt too!!! Love the pairing with the oxford shoes and the bright yellow necklace!